I need a carpet for my bathroom that I can pull up and wash. It got good reviews. I have rheumatoid arthritis and cannot walk barefoot on hard floors. The carpet helps me get around better. i like the price and color. I hope the quality is just as good? I need to replace carpeting in my bathroom and this is the best cost offer I have seen. Need a big carpet for a tiled bathroom, to save the tiles from damage. size, color and good price. Perfect size for my bathroom. I like a rug on my bathroom floors. I Have purchased this product in the past. It suits my need. I've purchased from this company before and their quality and shipping and correspondence (if necessary) is excellent. This rug can be cut to fit a small bathroom floor. Have used this carpet for years ordered from Miles Kimball. Love the look and feel. I have had this item before. Just love it for bathroom!!! I chose this because it was an inexpensive way to cover my walk-in closet floor. I wish it were plushier under my bare feet, but it serves the purpose of not standing on a cold floor when dressing. I needed a new carpet for my bathroom. I HAVE ORDERED THIS IN THE PAST, DIFFERENT COLOR, AND IT LAYS OUT VERY NICELY. 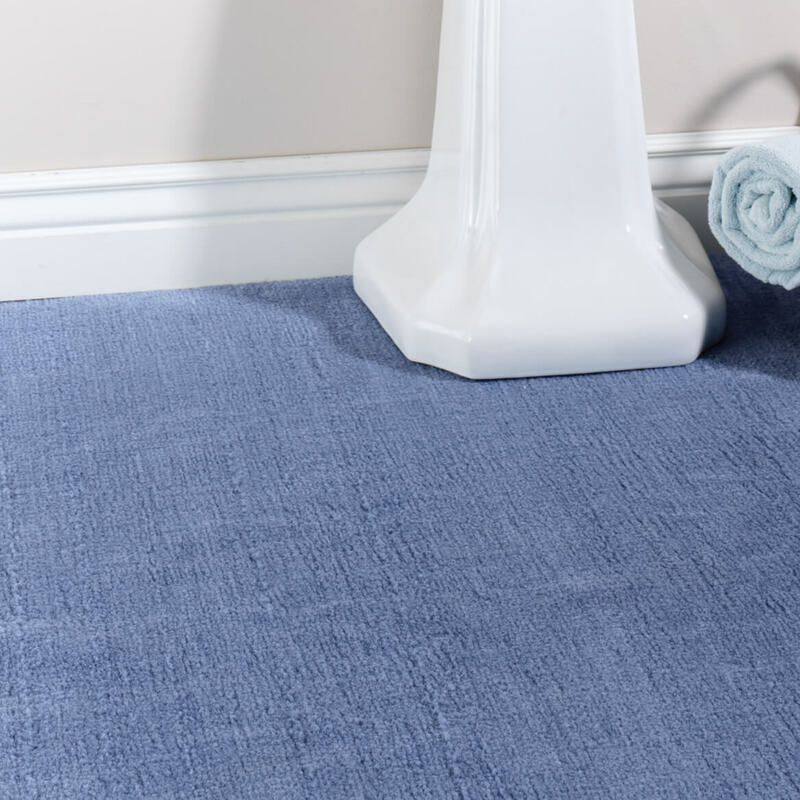 I purchase this bathroom carpet because I was looking for one like this for along time and I found it here at Mile Kimball plus the price was just right. I love this bathroom rug! I love all the colors and i would recommend this rug to anyone. Cutting to make a fitted, wall-to-wall rug was much easier than replacing old linoleum, and it can be put in the washing machine and dryer. 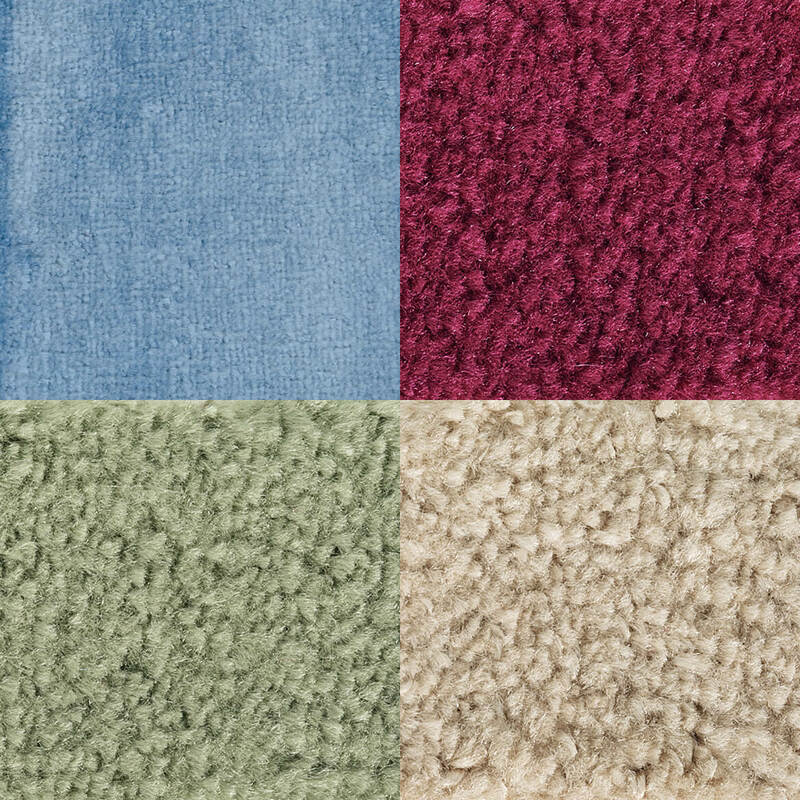 What other colors does this 5 x 6 bathroom carpet come in? BEST ANSWER: Thank you for your question. This item is available in blue, burgundy, rose, sage and sand. We hope this information will be of help to you. Can I put the bathroom carpet i5x8 in the washing machine? BEST ANSWER: YES IT WASHES BEAUTIFULLY-NO CHLORINE BLEACH AND NOOOO DRYER. THE DRYER RUINS THE BACKING ON THE CARPET. I DRY IT BY HANGING IT OVER MY SHOWER DOOR-TAKES ABOUT 2-3- DAYS TO DRY. Thank you for your question. We do not suggest to do so, as the machine can ruin the backing and have it fall apart. We do suggest to hand wash. We hope this information will be of help to you. No, cannot be washed in washer.........ruins the rubber backing & sheds a lot. Must shampoo..and still sheds a lot! Yes you can, but the edges will fray. 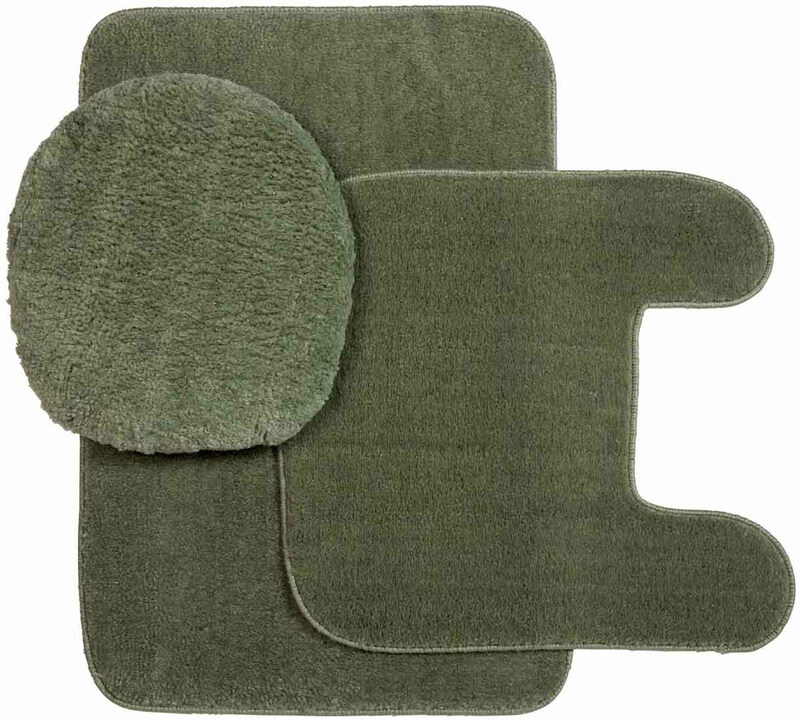 sharon.page is the carpet easy to cut and does the larger size come in all the colors? BEST ANSWER: Yes, it was easy to cut with sturdy sharp sheers. 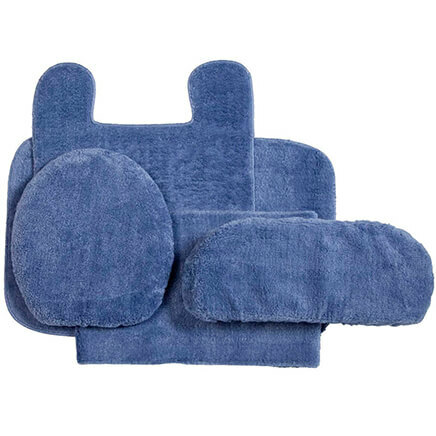 it is not especially plush but I like it that way. I actually run the sweeper over it routinely. I have used this carpet before and don't remember having any trouble cutting it. I have not put the carpet I ordered recently down yet. The carpet was very easy to cut. I love it! What is the backing on this carpet? BEST ANSWER: Thank you for your question. 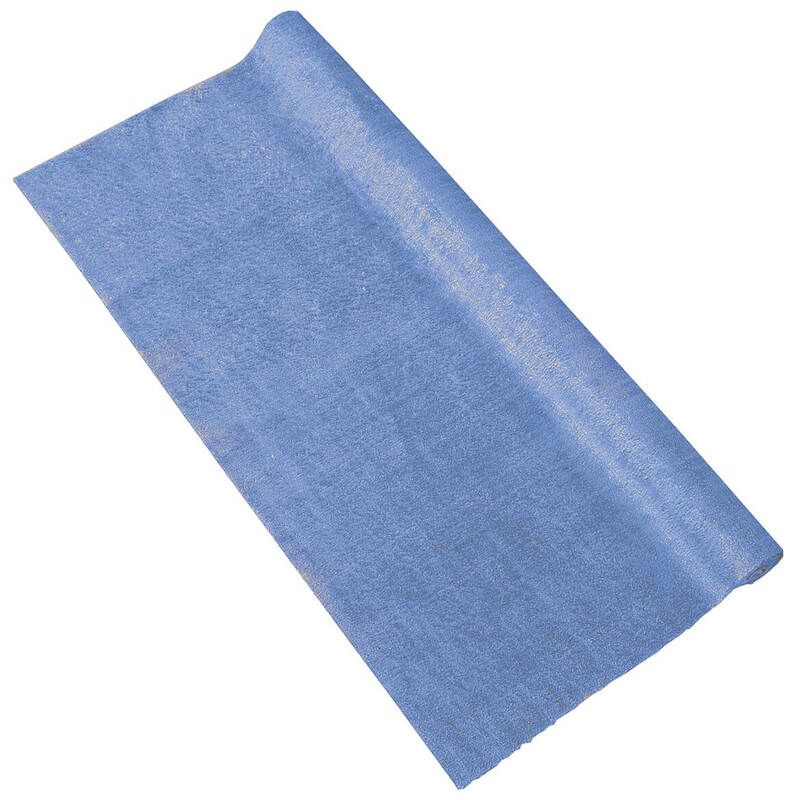 The backing is a non skid rubber backing. We hope this information will be of help to you. The backing is white rubberized for non skid.